The best way to handle workplace injury and illness is having proper safety training on a host of subjects. How to handle hazardous materials and chemicals can go a long way to keeping the workplace injury and illness free. This type of training can go a long way when a safety committee learns it and how to apply it to the workplace. PFIW strong urges employers to offer such training to their employee safety committee so they can train the rest of the company workforce. Make the workplace as safe as possible and many injuries and illnesses can be eradicated. An informed and trained workforce will dramatically cut down on the cost of getting work done. The best way to solve the problem with workers compensation is to increase the awareness of workplace safety. The only source of real protection for workers comes from OSHA. Unfortunately lobbyists have been able to reduce the power of OSHA to next to nothing. The leading problem with workplace safety is employers trying to reduce costs and increase profits. Safety takes a back seat to profits. The OSHA website has all kinds of information about workplace safety. Take time to see if any of this information could make your workplace safer. The Federal government has all but taken away any power OHSA had to make the workplace safer for workers. This was done through lobbyists with their campaign finance money. OSHA needs to be examined and debated and given back it’s power to make the workplace safer. We searched and could not find any other labor organizations that lobby for better labor law and better workplace conditions besides unions. The USA labor force owes all the unions a big thanks for all the protections enjoyed by workers. It is hard to find any politician that would go against the special interests that keep workplace safety and fairer labor laws on the front burner. They want this issue to go away because there is no campaign finance money in it for them to support labor. Question: Why aren’t these issues worth debating? Answer: There’s no profit in it, greed, campaign finance, and no concern from employers for workplace safety. Pennsylvania has enacted legislation that gives a discount rate for workers compensation insurance if an employer creates a safety committee to make the workplace safer. Statistics show that employers that gave serious attention to this concept were not only able to reduce their worker’s compensation insurance rates but were able to reduce workplace injuries. The program is called Worksafe PA “Promoting Pennsylvania Workplace Safety”. This program was a good start for workplace safety. Too bad a monetary incentive had to be used to get employers to make the workplace safer for their workers. The downside of this program is that a lot of companies have setup bogus safety committees just to satisfy the requirements for the discount rate on their worker’s compensation insurance. 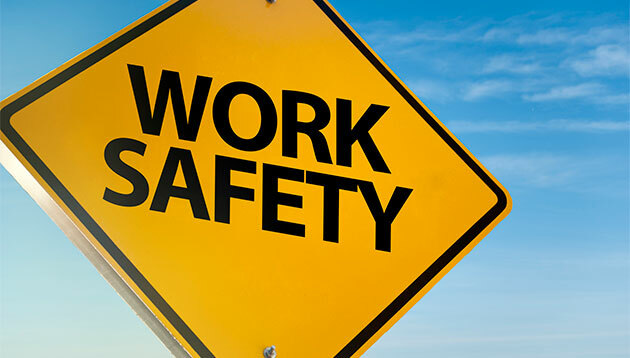 The employers do not use the safety committee to make the workplace safer. Employees complain that the employers ignore any suggestions submitted by the safety committee. This program only makes a company look good on paper and does not address the safety concerns of the employees.